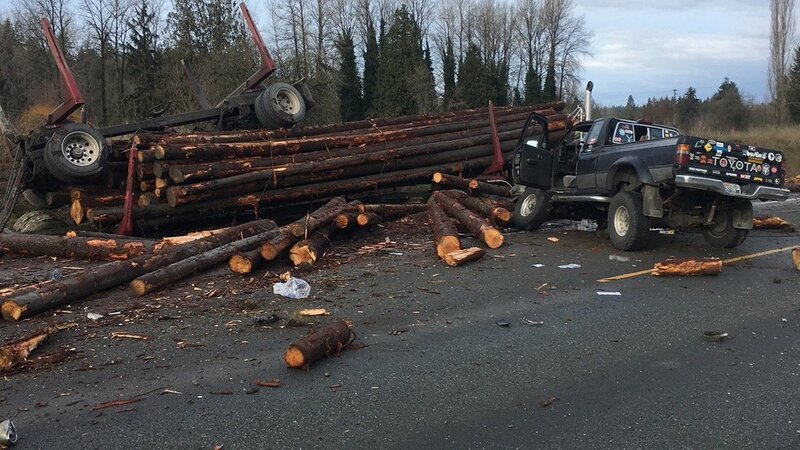 Serious injuries have been reported after a collision involving a logging truck and five other vehicles on Highway 2 in Monroe, according to the Snohomish County Sheriff’s office. The crash occurred at Three Lakes Road between Monroe and Snohomish around 11:30 a.m.
One person was airlifted to the hospital from the scene with severe injuries. At least one other person required medical aid for difficulty breathing. Photos from the accident scene showed loose logs spilled and splintered across the highway. Highway 2 was shut down in both directions. Unfortunately, many logging trucks are poorly maintained, and the drivers are inadequately trained. These companies are required to abide by different regulations than your average trucking company, and for good reason. 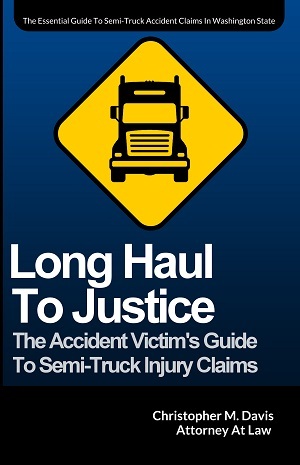 Due to the sheer size, weight, and type of load carried by logging trucks, any accident with these types of large trucks can lead to catastrophic injuries and even wrongful death. If you or a loved one has been injured in a logging truck accident, the lawyers at Seattle-based Davis Law Group, P.S., can pursue recovery for catastrophic loss, medical expenses, lost wages, pain and suffering, disability and other costs. With attorney Chris Davis’ help and guidance, you may be able to hold the log company fully responsible for the truck accident. Mr. Davis has nearly 25 years of experience representing victims in claims against trucking companies, and possesses the knowledge and resources to win these complex cases. Call us at (206) 727-4000 today for a free case evaluation. You may also use the chat feature below or fill out the form on this page to get started.